As process quality procedures and operator safety continue to be increasingly stringent in industry, tool testing is of paramount importance. 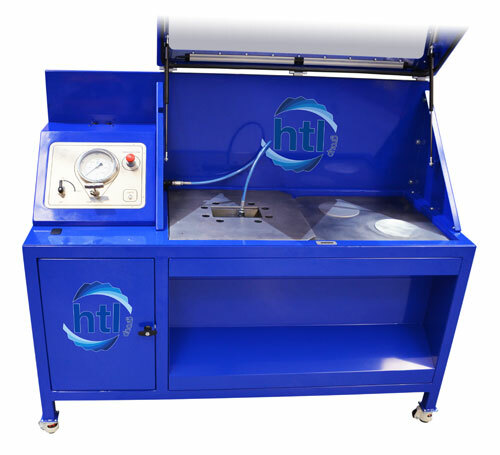 North East Headquartered HTL Group has designed a Tensioner Test Rig which allows customers to safely pressure test bolt tensioners to ensure their integrity using a unique innovation to save a vast amount of test time and money. The new design allows the load cell only to be tested quickly and safely avoiding the necessity to fit the bridge and screw on the puller, dramatically reducing the test time. Titled as the “Premier Plus Range”, and finished in a durable blue powder coating with lockable castors ensures the range further promotes operator safety by guaranteeing easy mobility. In addition to this the OEM has also designed each rig to come supplied with all the features necessary to ensure full control during in-house testing, as well as promoting operator safety. 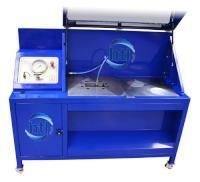 “With further product innovations to be released throughout the year, the HTL Premier Plus Tensioner Test Rig range is one of many 100% customer focused solutions we have designed to solve the challenges our customers face every day,” adds Jones.